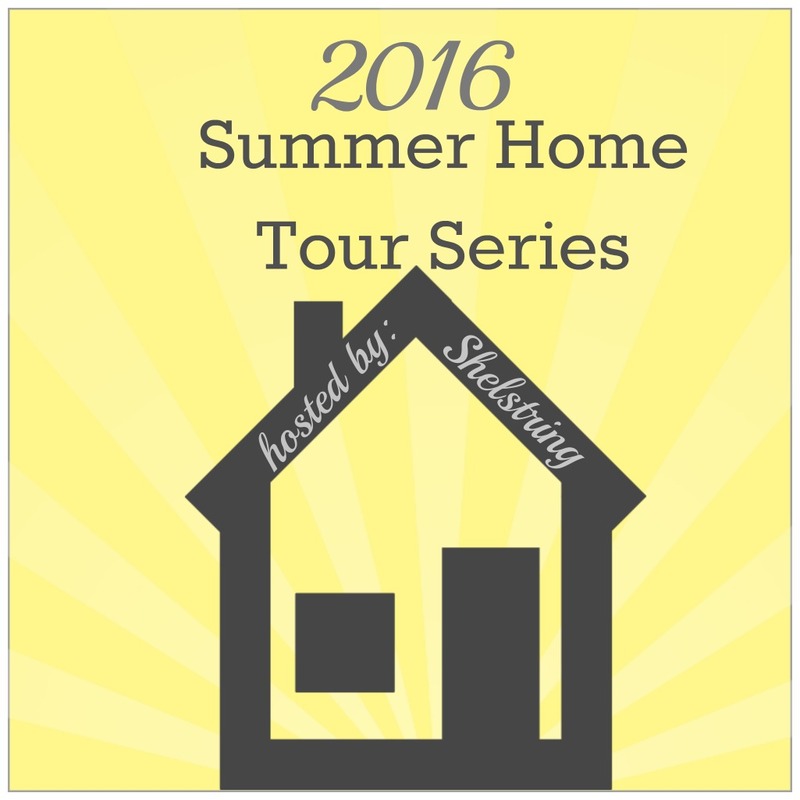 I'm so excited to share another tour this week in my Summer Home Tour Series!! 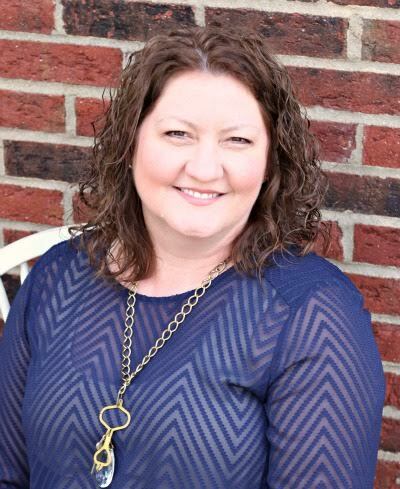 I'd like to introduce you to Kimm at Reinvented and RoadKill Rescue! You will find these to be the perfect names for her creations because she is completely packed with inspiring creativity. So when you finish reading this post, hop on over to her beautiful blog and see all the amazing things she has to share for yourself. Bet you're dying to see her home now aren't you?! Let's get started then...shall we?! of aqua all year round, but I love switching things up and adding seasonal touches. Let's start with our front door, shall we? Welcome! Our front door has been "monogrammed" for a few years, but I'll admit I was getting tired of a plain white B on our black door. For summer, I pulled out some colorful fabric and spent about an hour wrapping and gluing. #stickyfingers I'm loving the cool summer color. Just inside the front door, in our foyer is our bicycle wheel table, a fun place for some beachy candle holders and a plant. Come on in to the family room now, I'm dying to show you our mantel, one of my favorite places to decorate for the seasons. Summer to me means green plants, flowers, and fun color layered with farmhouse style. I'm in love with those porch post halves. Gimme old wood every. darn. day. Our faux shiplap has really brightened up the space; this is my favorite wall in the house. :) I just completed a little refresh of our master bedroom (my mother's day gift! ), and added some vintage and modern colors that are perfect for the warmer months. The vintage style blue quilt is from Target; I can't sleep without covers, but I love a lighter layer for summer. I also added some open weave linen curtain panels to just the outer edge of each window, a less expensive way to dress them up. Thank you so much for visiting! Please come by Reinvented any time, I'd love to see you! Thank you Kimm!! What do you like the best? Her beautifully inviting Monogram, that amazing bicycle table, the faux shiplap? Who can choose?! What a wonderful peek at what she has in store to share on her blog. I love peeking into the beautiful homes of our guests. Hope you will join me next week for a tour with Julie Nicoles at Love my Simple Home. Until then, enjoy making changes to your home to enjoy these summer months! Thank you so much, Michelle! I love participating in your home tours!! Have a great weekend!